Over the past two decades working at the Center for Court Innovation, I have played a role in helping to launch dozens of new programs. One of the things I have learned is that origins matter. In my experience, the narrative of how a program gets started tends to shape its trajectory for years to come. It is incredibly difficult to overcome a bad start. Evidently, New York City Mayor Bill de Blasio shares this belief. Today, I was privileged to be invited to attend a speech by the Mayor at Cooper Union celebrating his first 100 days. 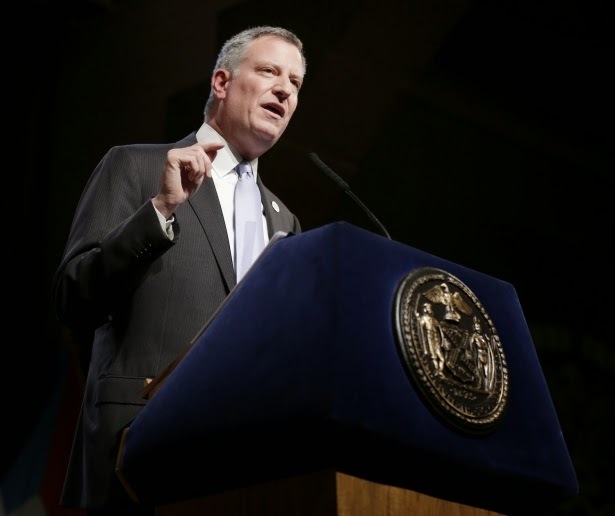 Quoting Plato about the importance of good beginnings, de Blasio catalogued early wins for his administration on a number of fronts: paid sick leave, universal pre-K, stop-and-frisk, traffic fatalities, and educational testing. This was the first time I had seen de Blasio speak in person as the Mayor. I was struck by how different his presentation is from his predecessor. The theme of his speech was returning New York City to its rightful place as the "heart of progressive America." "We believe in the grassroots," said de Blasio, emphasizing the value his administration will place on listening to the voices of the people. Criminal justice came up on only a few occasions. The Mayor said that keeping New Yorkers safe was "job one." He also made the point that aggressive policing was not incompatible with treating all New Yorkers with dignity and respect. My favorite moment was probably an unscripted one. Someone in the crowd cheered loudly at the mention of the Bronx at one point in the speech. "The Bronx is in the house," ad-libbed the Mayor, cracking a smile.